(The Law Office of Doug Goyen represents people with personal injuries, including personal injuries from auto accidents. We can help deal with the property damage part of the case as part of our personal injury representation. The Law Office of Doug Goyen does not accept automobile accident cases where there are no personal injuries). Every personal injury claim from an automobile accident has a portion of the claim for the property damage to the vehicle. If the other party is at fault, one of the top questions I get is "how do I go about getting my car fixed?" My work as a Dallas car wreck lawyer since 1998, and as a claims adjuster from 1989 - 1997, has helped me gain insight into the process, how it works, and what generally is best to get your vehicle repaired while protecting your rights. Each case is different, but these are some helpful tips. 1) Report Accident to your Insurance: First, even if the other driver is at fault, contact your insurance to report the claim to your insurance company. Let them know that you are only reporting it, but that you plan on going through the at-fault person's insurance to get your vehicle repaired if possible. "Why should I report to my own insurance, the other guy is at fault, I don't want my rates to go up." The reason is that you have a contractual obligation to report any auto collision, whether you are at fault or not, to your insurance company - regardless of fault. They have the right to do their own investigation to make sure they aren't responsible for anything. Its not your decision to make - you aren't the insurance investigator, and you don't have the authority to investigate on behalf of your insurance company. If you fail to report the accident to your insurance company, you are violating your insurance policy and risk losing coverage. Report the accident to them. Besides, your insurance company will do an investigation from your point of view. The other guy's insurance company gives him the benefit of the doubt, your insurance company gives your the benefit of the doubt. They will typically only find against you if the the facts seem overwhelmingly against you. Their investigation will typically help you with regard to liability if you are not at fault. (Important Caveat: If you are injured - don't give a recorded interview to your insurance company, or the other insurance company without getting advice from an attorney first regarding this. I typically don't like giving recorded interviews, but will do so if I think it will help the adjuster. If the facts are clear, then usually the recorded interview is to get you to say something regarding your injury so they don't have to pay on the injury claim. So again, don't give a recorded interview until you have consulted with a personal injury lawyer if you were injured in your collision). 2) Report Accident to At Fault Person's Insurance: If the other person is at fault, tell his insurance company that you would like them to pay for the damage to your vehicle, and see what their procedure is for confirming the damage to your vehicle. Insurance companies have several methods for confirming your property damage. First, if your vehicle is not safely driveable, they will send an appraiser to wherever your vehicle is located to do an estimate. Second, if your vehicle is driveable, they may want you to bring the vehicle by one of the appraiser's locations so they can do an estimate. Third, some insurance companies have contractual relationships with most larger body shops in large cities - if this is the case, they will often just accept the estimate that is written by the body shop in question - so you just take your vehicle to the "preferred" body shop and have them contact the insurance company. 3) Estimates & Supplements: The insurance company that is paying for the repairs will write an "estimate" for the repair of your vehicle, and will typically write a check or draft for that amount of repairs. First thing to remember, this is just an estimate. It is not a final number. Take the estimate to whichever repair facility you want to use. They will start the repairs from the estimate. If the estimate does not cover all the damage, the body shop will contact the insurance company for a "supplement". This is where the body shop informs the insurance company that the estimate did not cover everything that needs to be done to repair the vehicle. A supplement will occur for many reasons. Often the insurance company assumes a part can be repaired rather than replaced. When the body shop starts doing the work, if it cannot be repaired, they will inform the insurance company and ask for the money to replace the part. Often the damage cannot be fully seen until the car is taken apart during the repair process. Once the vehicle is taken apart, and the unseen damage is confirmed, they will contact the insurance company for a supplemental check. 4) Hold On to Property Damage Check for Leverage with Body Shop: DO NOT give the body shop your check from the insurance company until the repairs are done to your satisfaction. If your body shop asks you to give them the check before repairs are done, tell them no. You will hand over the check once the repairs are complete. They can call the insurance company and confirm the amount, or you can show them the check. If your vehicle is financed, they will have the check made out to you and your body shop (or to you and your lienholder - required if you don't give them a body shop name). You can't cash it, so they have nothing to worry about. If you do give them the check before the repairs are complete, you will have no way to force them to correct any problems when the body shop says the work is complete. If you hold on to the check, when the body shop says the work is done, if you inspect the work and discover it is not done correctly, you have the leverage to make them complete the work correctly, or they don't get the check signed over. So once again, DO NOT give the check to the body shop until the work is complete to your satisfaction. 5) Investigation Period: Often, the at-fault driver's insurance will need to complete an investigation prior to confirming they need to pay for the damage. Problems can occur in several areas - 1) if their driver does not call the claim in - they will not pay until their insured reports the accident to them. If their driver NEVER reports the accident, his insurance company can possibly attempt to cancel coverage for the accident for "lack of cooperation". Insurance policies require the insured to cooperate with the investigation - and if you don't let your insurance company know what happened, you aren't cooperating. 2) If their driver changes their story and claims he was not at fault, the insurance company may need to order the police report, talk to witnesses, and other investigation in order to confirm liability. 3) Their may be a question of coverage - maybe payment was late or not made, maybe someone is driving the vehicle who was not supposed to be driving, maybe this was a "road rage" incident, and the insurance company wants to verify if their driver "intentionally" ran into you (if he did hit you on purpose - there is NO COVERAGE - liability insurance does not cover intentional acts. During all of the above, there will be a delay in paying for your vehicle. Which means that if you wait, you may be without a vehicle for a long time. If the insurance company says they are "investigating" what happened, this means they are looking for a way out of paying you. 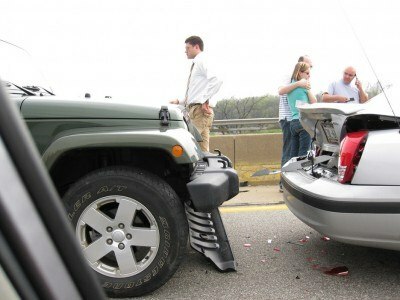 You need to file under your collision coverage under your own insurance. Your insurance will start the repair process, and then when the other insurance company completes their investigation, if they confirm they are going to pay, they will take over from your insurance company and pay the body shop when the repair is complete. If the other insurance's investigation drags out, or if they wrongfully deny liability, then your insurance company can pay for the claim and then collect against the other insurance company to get their money back (plus your deductible). This is the quickest way to get your money back. 6) Rental Car & Towing: You can ask the other person's liability insurance company to pay for your rental car. They can do this one of two ways, a) they will do a "direct bill" where the rental car company sends the bill directly to the insurance company to pay it, or b) they can ask that you pay the bill to the rental car company, and reimburse you afterwards. Either way, be careful. Insurance companies are notorious for nickle and dimeing people on their rental car bills. They will not pay for the "extra insurance" the rental car company tries to get you to purchase. The insurance company will not pay for the time your car is just sitting in the body shop not being repaired (if your car is driveable), so be sure to ask the body shop if they will be able to start the repairs immediately when you drop it off, otherwise you will need to wait until they are ready to start the work - so you don't get stuck with the rental car bill. This is called "mitigating your damages", keeping your rental car bill to a minimum. 7) Total Loss Issues: The rental car stops as soon as the insurance company makes an offer on your total loss. The law in Texas does not allow loss of use payments (rental car) if the property is determined to be a total loss. This law is wrong, but it is the law. The law was based on a case that was not a car crash, but the Texas Supreme Court has applied the law to automobile cases, so no rental car payments once the car is deemed a total loss. Therefor, insurance companies do not pay rental car bills after a total loss offer is made. What is a total loss? If the property has been destroyed beyond repair. Under your own insurance policy, this is defined by the contractual terms - which says the insurance company will pay the lesser of the value to repair your vehicle, or the value of the vehicle itself. When going under the at-fault person's liability insurance, there is no such contractual definition, so we fall back on what the law says, which is that the property cannot be repaired. If you have been injured in your collision in the Dallas, Texas area, contact the Law Office of Doug Goyen. Doug Goyen has worked as a Dallas car wreck lawyer and personal injury attorney on both the insurance companies side from 1989 - 1997 as an adjuster, and from 1998 to the present as an attorney. Auto Accident and Injury Cases, Personal Injury Cases, 18 Wheeler & Commercial Vehicle Injury Accident Cases, Motorcycle Accident and Injury Cases, Wrongful Death Cases, Pedestrian Injured by Automobile Cases, Slip and Fall & Premises Cases, Workplace & Constructions Injury Cases, Dog Bite Injury Cases, Bicyclers Hit by Automobile Cases .